Self assessment is a very well-practiced culture in most of the modern industries and academic curricula as well. It is kind of a employee performance appraisal and self-appraisal which sheds light both on the confidence and understanding of the candidate. There are a lot of samples Self Assessments available for free downloads all over the internet in printable formats like Word and Excel. Structures of self assessment templates can vary widely based upon the domain they are designed for and we will customize them according to your purpose. For example, a corporate self assessment template may like employee assessment forms are involve core technical skills, projects delivered, revenue incurred etc. while a student’s self assessment may have a completely different point of view altogether. This self assessment template in excel format has separate sections for the employees to out down the details of their performances, the skills that they possess and the reasons behind getting good appraisals. 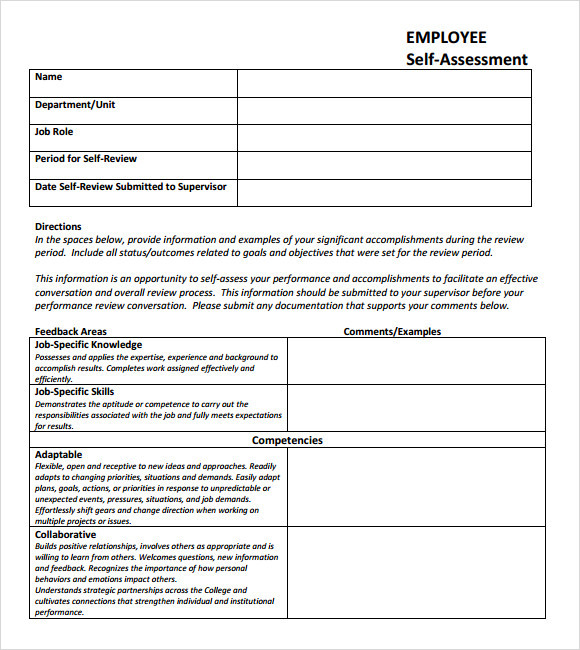 Employees can use this template for proper self assessment before the appraisal procedure. 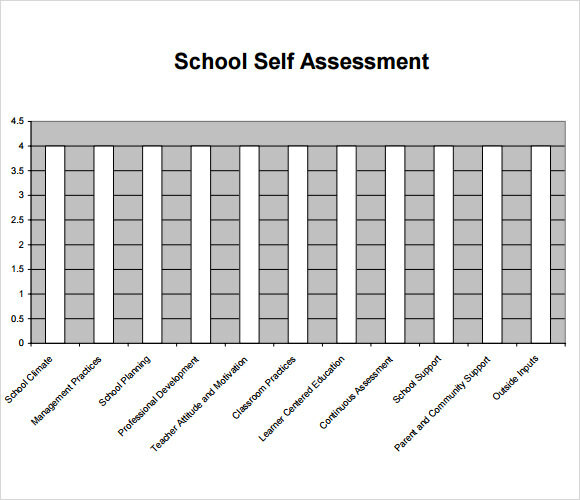 The self assessment template for primary school can be used by the teachers in the primary school for assessing the performance of the students studying in the school. The template features separate sections for detailing the name, the talent possessed and the qualities of the students. This template works in the same way like the self assessment template for primary school. It is also used for assessing the skills and the qualities of the students studying in primary schools. The template can be easily downloaded and printed and there are even scopes of editing the template the way you want. 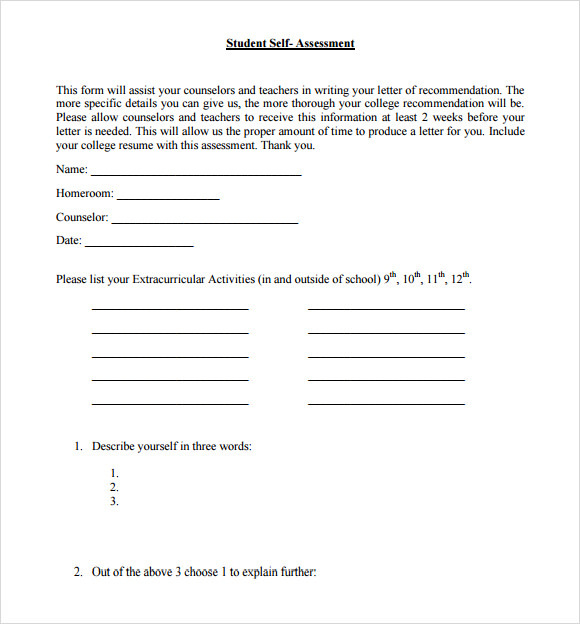 The employee self assessment examples template contains a complete list of the readymade prompts for important questions that need to be asked for the self-assessment of the staff members. This template can be used prior to the employee appraisal procedure for knowing what the employees think of their weaknesses, strengths and performance. 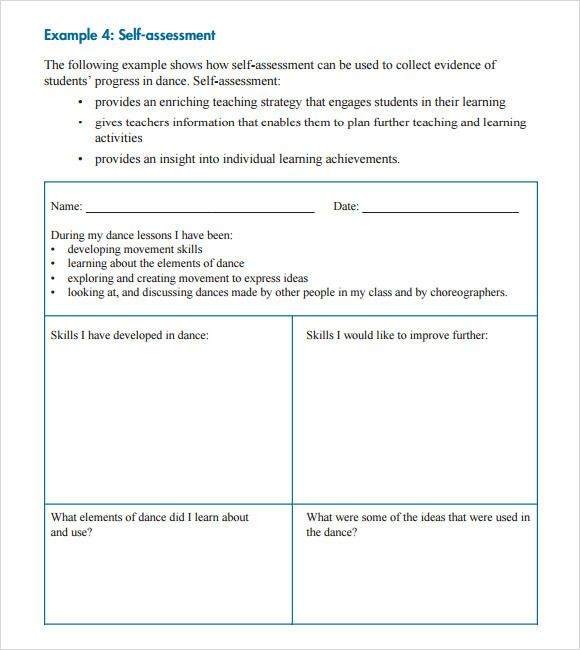 Why Do you Need Self Assessment Templates? Self assessment templates are needed when companies need to know the understanding and the confidence of their staff members prior to the employee appraisal procedure. Self assessment is a well-practiced and an integral culture in modern industries and even in the schools and colleges of the modern times. There are many varieties of self assessment templates available throughout the internet and they can effectively be used as the best tools for shedding some amount of light on the strengths and the weaknesses of the employees working for an organization. You may like Self Care Assessments. 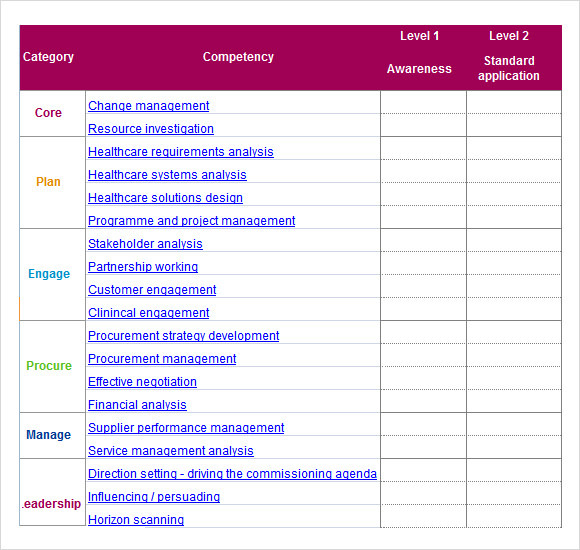 When Do you Need Self Assessment Templates? 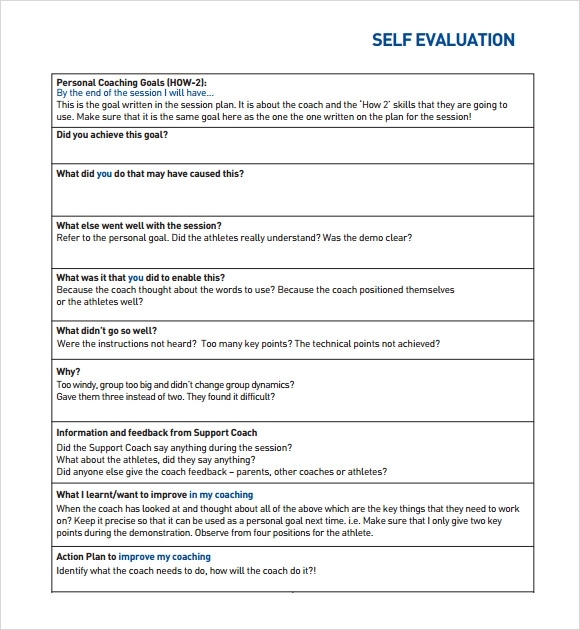 Self assessment templates which are also called self evaluation templates or self appraisal templates are valuable tools used by managers for learning how the employees take their very own performance. The templates help in assessing the employees and this assessment further helps in closing the gap that exists between performance and expectations. The templates provide a kind of channel for opening the communication about opportunities, development and goals. 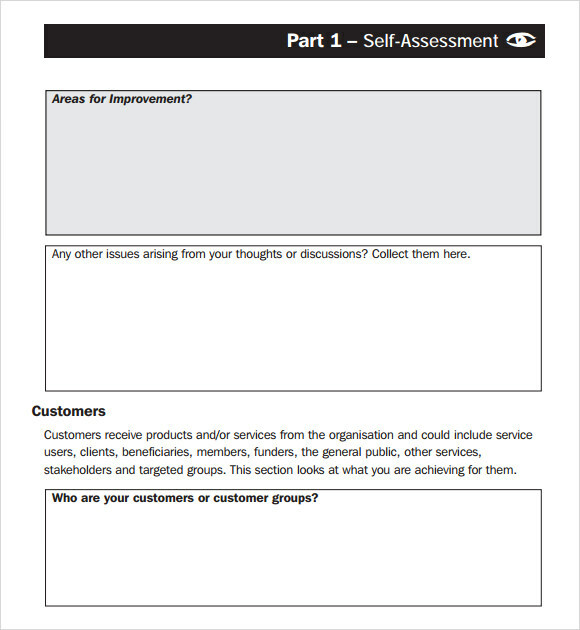 The templates can be used by supervisors and managers for sharing their opinions regarding the ability and the performance of employees in meeting expectations during self assessment. You can also see Leadership Self Assessments. What Are the Benefits of Self Assessment Templates? It can turn out to be very challenging for the employees to write their self evaluation. Therefore, in these circumstances, self assessment templates prove to be of good help for the employees. They help in getting the self assessment of the employees on the right track. They are clear, easy to fill out, appropriately anonymous and contain spaces for the respondents to be honest.